Complete your indoor or backyard furniture set with our stylish and versatile bar table. 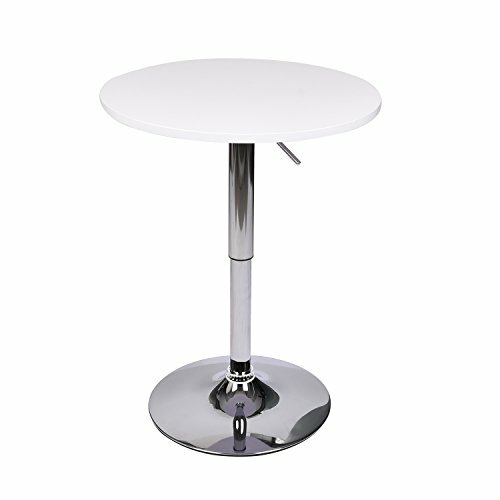 Our Bar Table is a great fit for indoor or outdoor events with its white covered top. This table can swivel 360 degrees to provide space for everybody and the hydraulic lift can raise or lower the height up to 8 inches. The wide base makes it almost impossible to tip over and the steel frame is highly durable. - Height adjustment to various settings with hydraulic lift from 27.5" to 35.8"